In the interest of expanding my original Around the Hat series postcards, I decided to do something a bit different for this new batch. I played around with some of my more general Medicine Hat images, from a train track to a gas well wheel to a kiln, and created numerous filters for them. 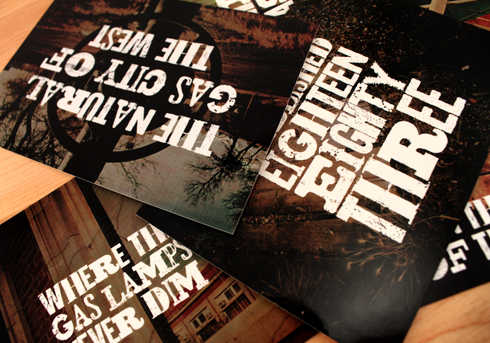 I emphasized the textures in the images, and then added additional cracks, a faint burlap pattern, and scuff marks. 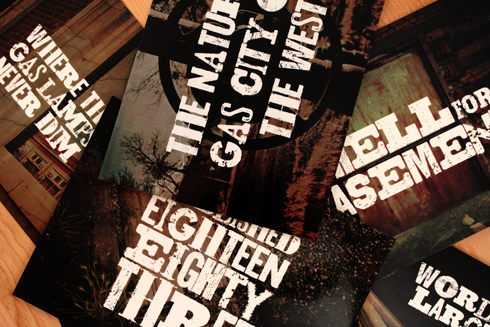 The idea was that I wanted to play up the wild west kitsch value of the city's history. All of this was to provide a backdrop for a few notable points that I felt best defined Medicine Hat, Alberta. 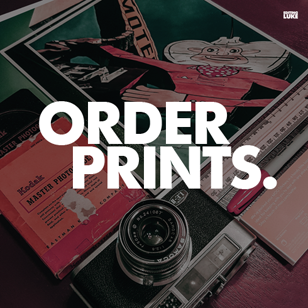 I wanted to combine the variety of my photo series with the historical branding to make Medicine Hat seem more unique. Here's what I came up with, and don't forget to check out these new cards in my shop. 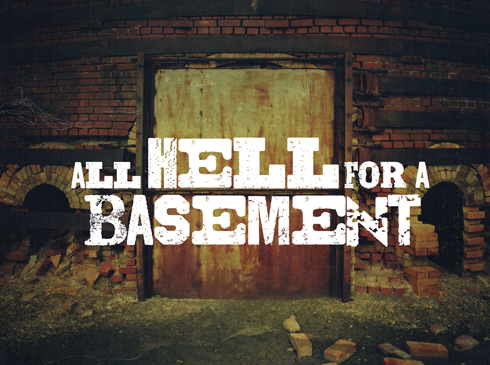 All Hell for a Basement - this is a quote made famous by author Rudyard Kipling, who made a big impression when he visited the community in the early 1900s. 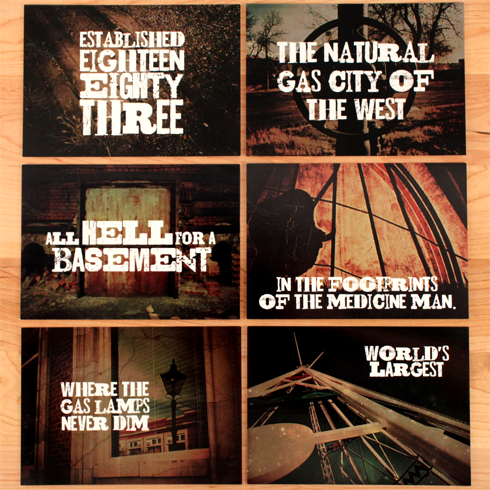 The quote was in reference to the vast natural gas wells underneath the city. 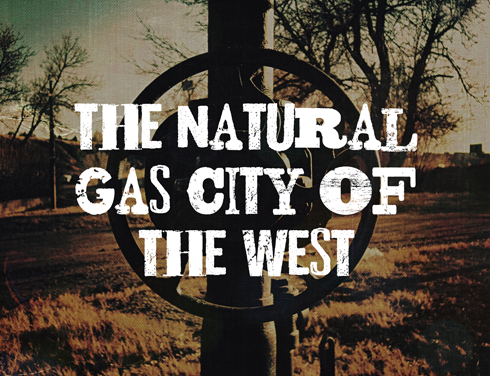 The Natural Gas City of the West - or simply the Gas City. This nickname has been around almost since the city's inception and has appeared on countless souvenirs, documents, and signs. It was our cheap natural gas that became our claim to fame for many early industries that set up here. 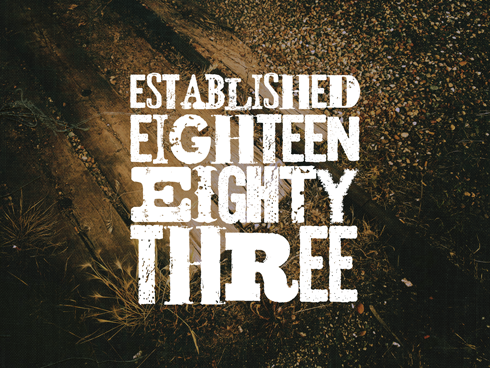 Established Eighteen Eighty Three - clearly in reference to Medicine Hat's inception, which occurred in 1883 with the arrival of the railroad. 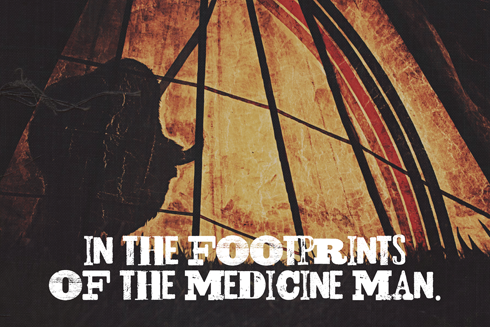 In the Footprints of the Medicine Man - this phrase is in reference to the legends that surround how the city got its name, often in reference to the Medicine Man and his 'Saamis' or headdress being lost in the river. 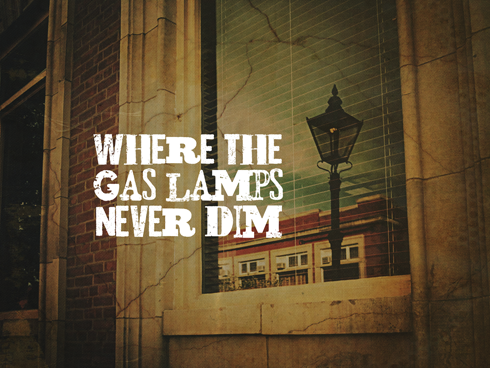 Where the Gas Lamps Never Dim - this refers to the early days of Medicine Hat when our street lamps were fueled by natural gas lines that went directly into the wells. The natural gas was so plentiful and cheap here that it was more affordable to leave them constantly burning day and night than to hire someone to light them in the evening. 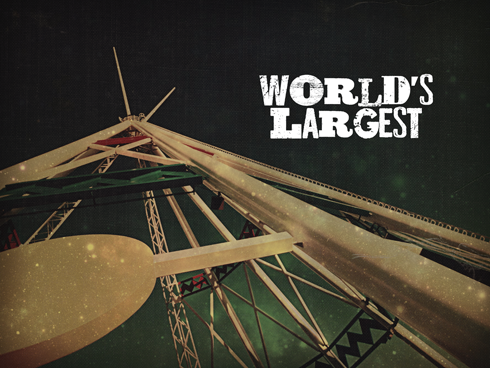 World's Largest - today Medicine Hat's claim to fame for anyone passing through along the Trans Canada has to be our Teepee. 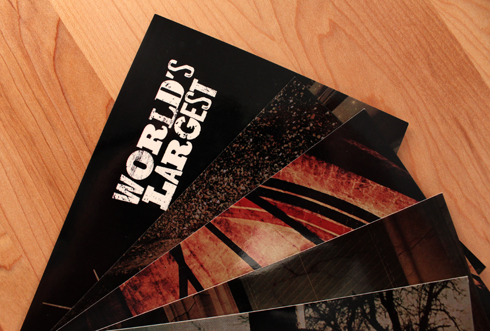 At over 20 stories high it's the World's Largest. 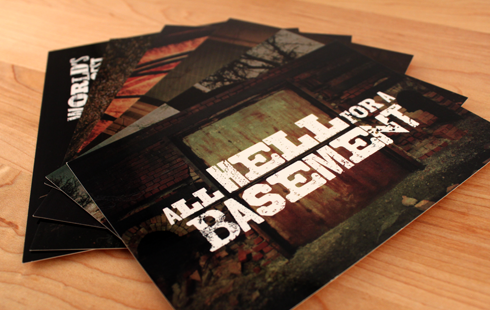 Find these cards and more in my Around the Hat postcard shop HERE.